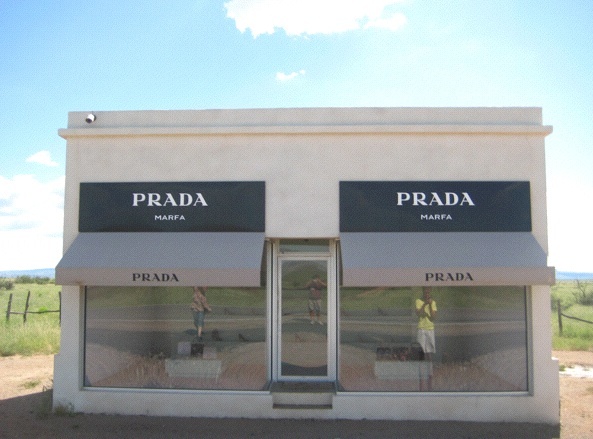 Window Shopping: This art installation, just outside the West Texas town of Valentine, is called “Prada Marfa,” for reasons that should be obvious. Kind of brilliant, right? Just don’t expect to walk out with a new pair of kicks; after an initial rash of vandalism, the items inside, from the Fall 2005 collection, were outfitted with security devices to prevent theft (Photo: Tim Murphy).